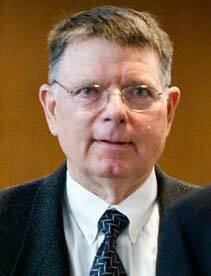 George Tiller was a friend, comrade and associate of mine for over a quarter of a century. I would share time and ideas with him at conferences, refer patients for his services and exchange holiday gifts with his staff. He, like so many abortion providers, was a person of courage, integrity and commitment to women's reproductive rights. I am sobered, deeply saddened, but not surprised by his murder. Like all of us, he knew that THERE IS NO CHOICE WITHOUT PROVIDERS. Facing ongoing legal and violent harassment, he continued to work for women on a daily basis in the middle of this war zone that all providers share. As I write in my current editorial in ontheissuesmagazine.com "reproductive freedom is the front line, the bottom line and the everlasting line in the sand of any definition of women’s transcendent rights that must be continually defended." George lived on that line, defended it and paid with his life. I am profoundly grateful for that life, lived with courage, conviction and honor. I ask all of us to pledge our passions, strength, power and continued commitment to the struggle for women's reproductive freedom in his memory. by Dr. Tiller in 1991.